In 2017 I resigned from my role at Invesco Ltd to pursue a new challenge of learning Spanish fluently on an adventure through Latin America. I lived in Xela, Guatemala, for almost 7 months where I immersed myself in the impact investment sector, working with the business cultivation team at Alterna Impact. I assisted Alterna with the development of their investment process at they prepare to invest in Guatemalan social entrepreneurs. After Guatemala I spent three months in beautiful Mazatlan, Mexico, before travelling South taking in Cuba and more of Central America. I am now based in Buenos Aires, Argentina, the land of the gods, Maradona and Messi. In my previous role as Head of Investment Consulting at Invesco Ltd I was responsible for all aspects of investment strategy for Defined Benefit and Defined Contribution pension schemes, providing clients with bespoke advice on asset allocation, investment selection and risk management. 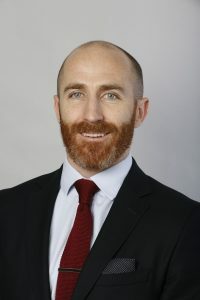 I have also held roles with Merrill Lynch in San Diego, DAVY and IFG Ireland, advising and managing money for high net worth individuals and corporate clients. My time at Merrill Lynch as a Financial Adviser provided me with an excellent foundation for my career in the investment industry, most notably the importance of a process driven approach and the relevance of behavioural finance in portfolio management. Education: I am huge believer in the power of education and the importance of intellectual curiosity. Coming from a small village in County Waterford, I can definitely say that University opened my mind to a world of possibility. I am a CFA Charterholder. I graduated from the University of Limerick (UL) with a 1.1 Honours Business degree in 2003, majoring in Economics and Finance. During my time at UL, I participated in the Erasmus program, studying at the Athens University of Economics and Business, and also on an 8-month internship program with State Street Bank in Boston. I was then lucky enough to get to study in the US for a Masters in Finance at Fairfield University in Connecticut, after been awarded the Fr. John Conlisk scholarship. Sport & Travel: In their own way both sport and travel are an education, providing us with important life lessons and principles that apply in all walks of life. I’m an avid sports person; I am a die-hard Liverpool fan and at 36 I am still scoring goals.